An attractive and informative site hoarding design that helps reduce the impact of our client’s essential work around an area of outstanding natural beauty. 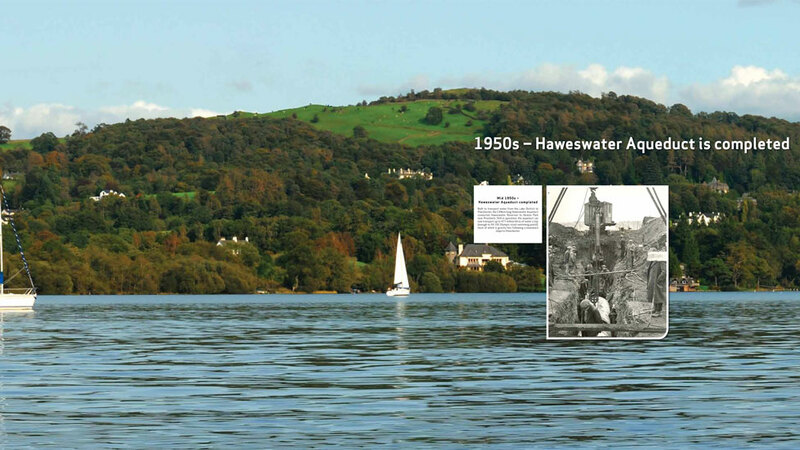 As part of a high scale scheme to alleviate flooding in Cumbria, United Utilities needed to set up a sizeable compound on the Glebe directly opposite Lake Windermere. To help reduce the impact of the site they asked us to design attractive and informative site hoarding design. 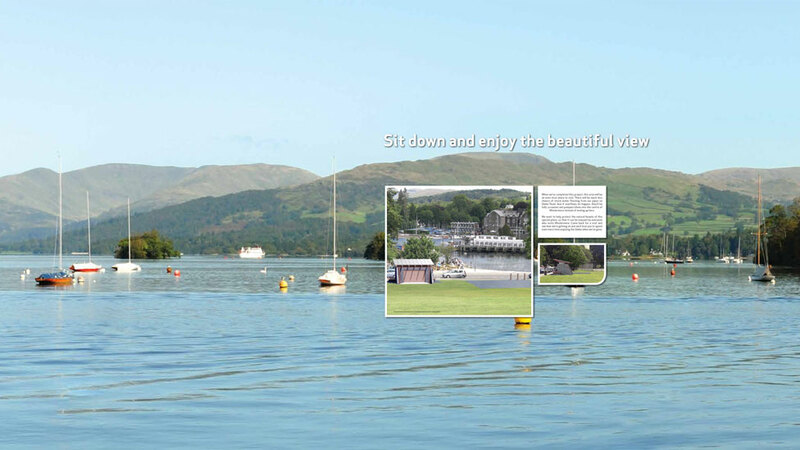 Due to the scheme’s requirements, the site compound had to be sited right in the middle of one of the most visited and picturesque tourist spots in the Lake District. With the scheme expected to take 12 months to complete, it was important to United Utilities to keep local residents and visitors in the picture informing them of the nature of the work, and to make the site look as attractive as possible. With the compound spanning a distance of 50m x 30m and virtually on the water front, instead of disguising it, we decided to make it a real feature instead. 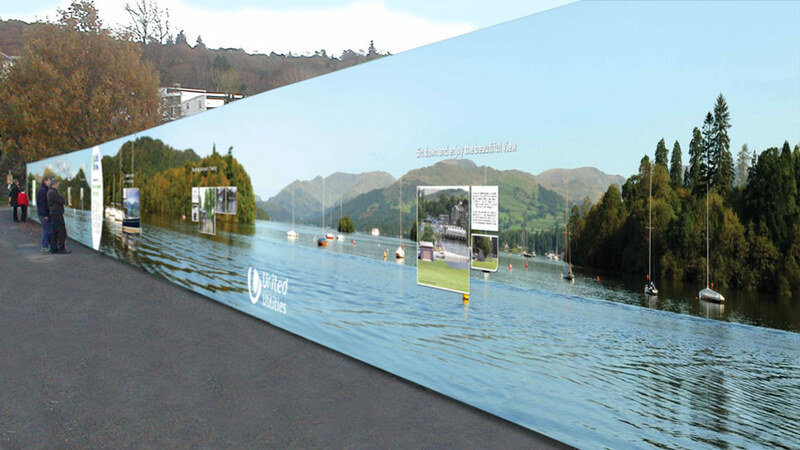 We organised a photo shoot to capture some stunning panoramic views of the lake, and used the photos as the background image on the site hoarding design to create a dramatic backdrop. 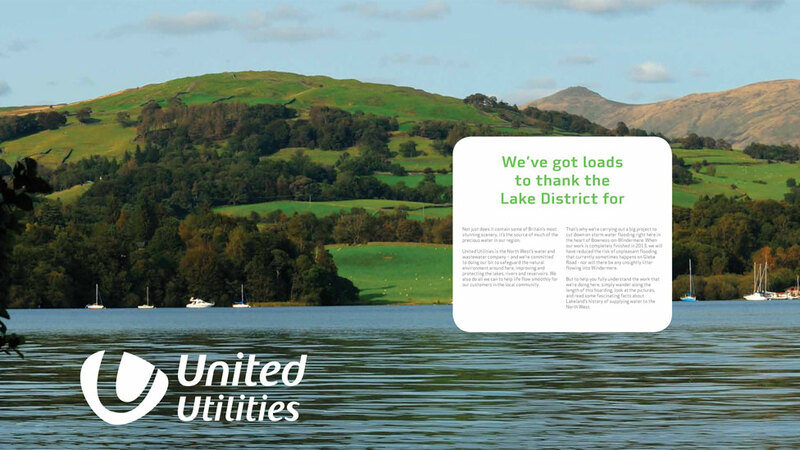 We then designed a series of inset panels in a style evocative of a museum or art gallery, each one telling a part of the United Utilities story. Archive photos from the Victorian era showed the construction of the area’s first sewer network, and CGI artist impressions gave people in the area a first glimpse of what the new facility would look like when complete. 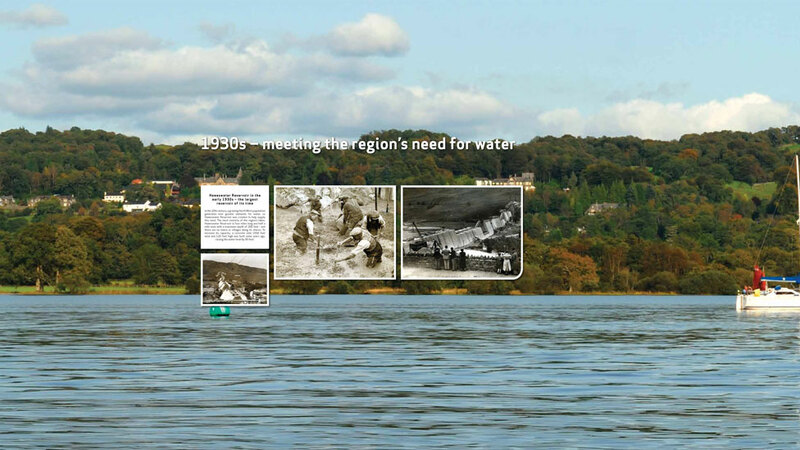 The design created a real interest with visitors taking the time to read the information and even write to United Utilities to compliment them on their approach.